This past week was incredible. We were at the AME conference in San Diego and, man, was it fun! We were able to connect with so many people from all over the world. 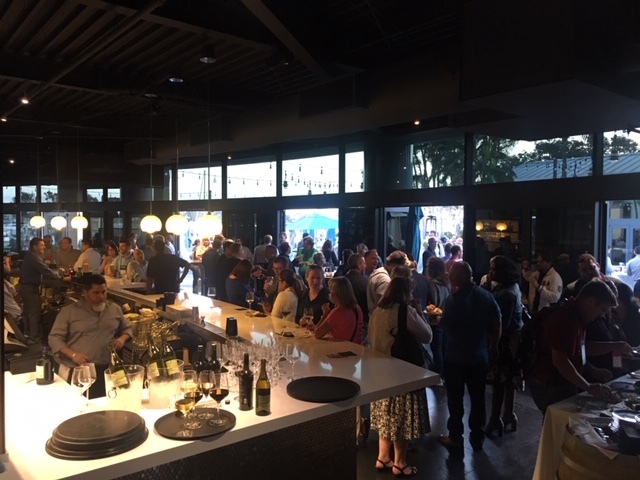 Our annual cocktail party was a success with around 350 people attending this year. Thank you to everyone that stopped by! We also did 8 different podcast interviews with some of my favorite lean thinkers. They will be released in the coming weeks along with video footage of Mike Rother delivering his “Kata in the Classroom” workshop. As an aside, the longer I know Mike the more I appreciate him. I mean not only has he written what I believe to be the most influential lean books of all time including Learning to See and Toyota Kata he also came to AME and delivered 4 different Kata in the Classroom workshops while also delivering a keynote address! 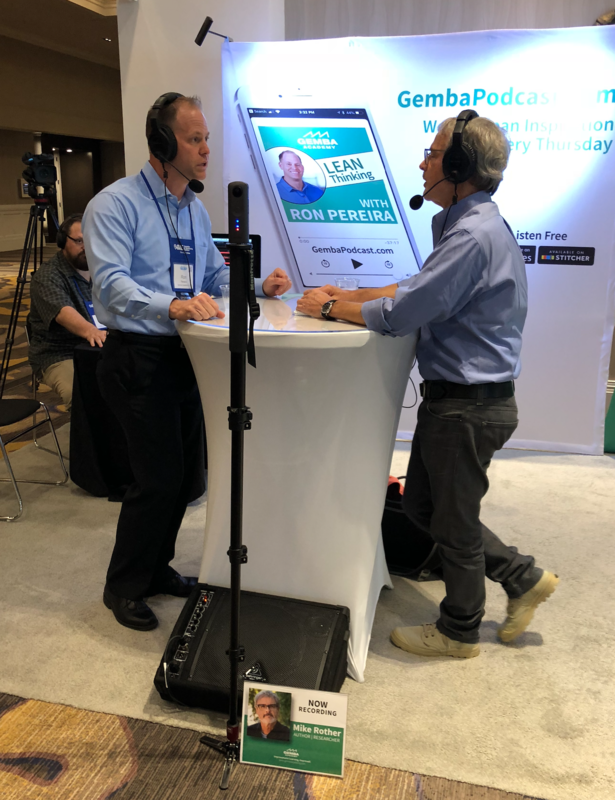 And in one of the most mind blowing experiences of my professional life Mike also found time to interview me for the Gemba Academy podcast! So stay tuned for that. Now, if you didn’t make it to AME this year don’t fret. Next year the AME conference will be in Chicago so start planning now. Don’t wait. I’d also HIGHLY encourage you to attend KataCon5 which is happening February 18-19, 2019 in Savannah, Georgia. Some of the best lean and scientific thinkers in the world will be in attendance. We’re also going to honor Mike Rother and Jeffrey Liker since it will be the 10 year anniversary of Toyota Kata, 15 year anniversary of the Toyota Way, and 20 year anniversary of Learning to See. Mike and Jeff will both be in attendance. Use the coupon code LF10 to save 10%! 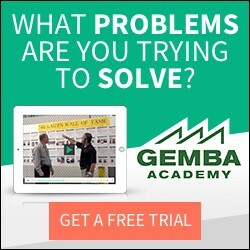 Most of the work we do at Gemba Academy is virtual. We speak to many, many people by phone and web cameras. But being able to connect face to face is so satisfying and fun. Thanks again to everyone that stopped by the booth and came to our cocktail party. And thank you to our incredible Gemba Academy team who planned for more than 6 months. I’m so honored to work beside you all. I found the Kata in the Classroom exercise to have great to be used with all types of students and young professionals.